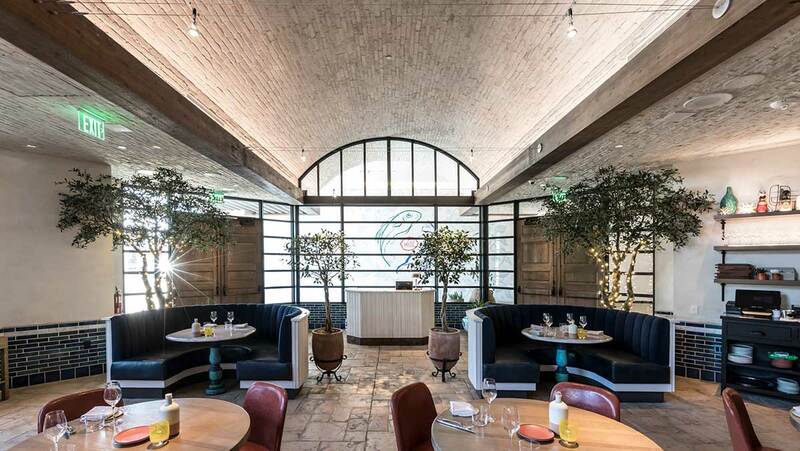 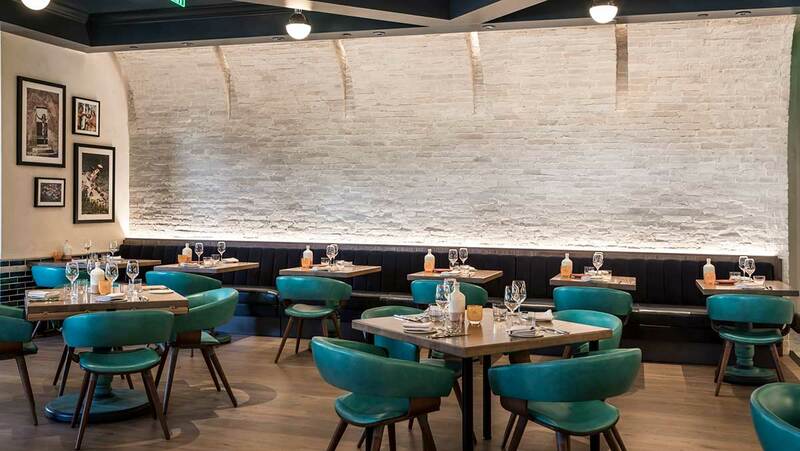 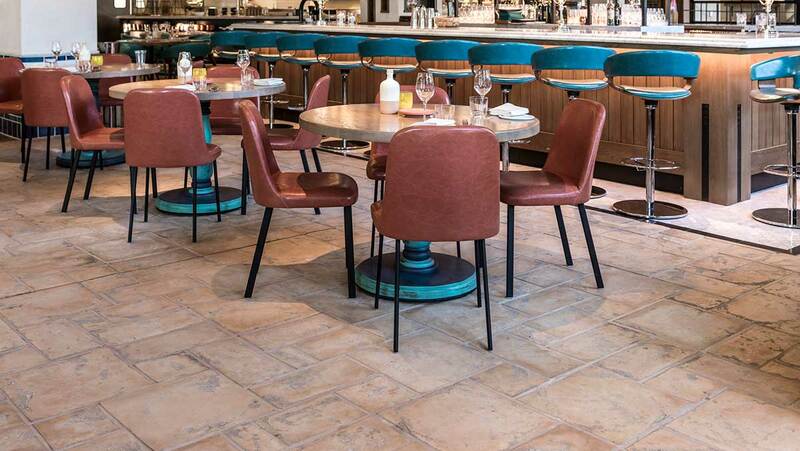 ARTO is proud to have provided concrete tile, brick veneer, and custom hand painted murals for Cal Mare restaurant in the (under renovation) Beverly Center. 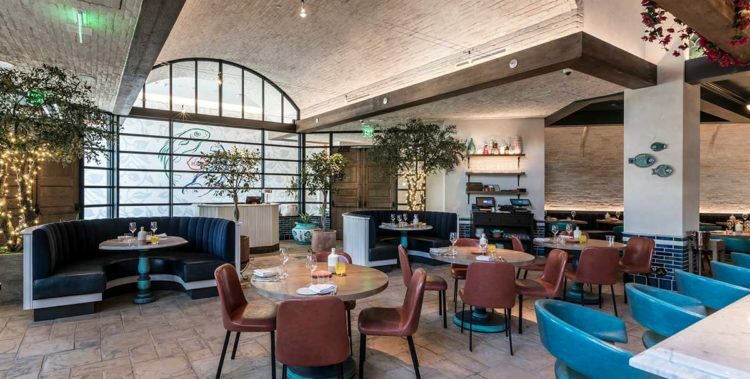 Eater LA listed Cal Mare as one of the 15 Hottest Restaurants in LA Right Now plus it was featured in The Hollywood Reporter: Where Hollywood Eats: L.A.’s 20 Hottest Restaurants Right Now. 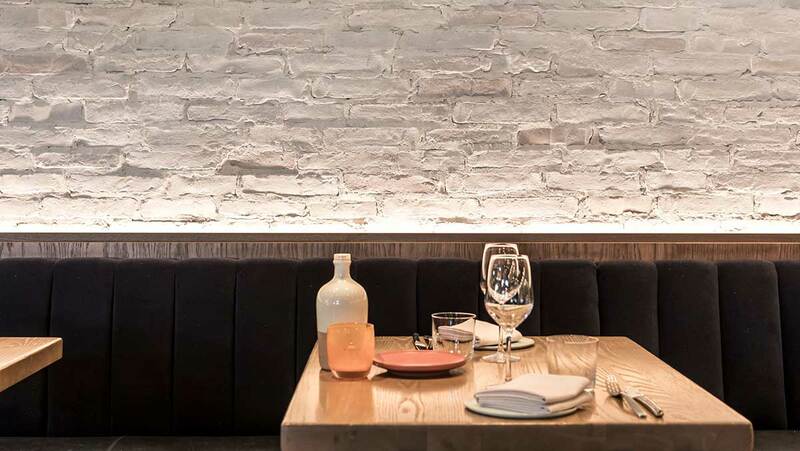 We like to think it is due to all the cool ARTO products but we hear the food is pretty good too. 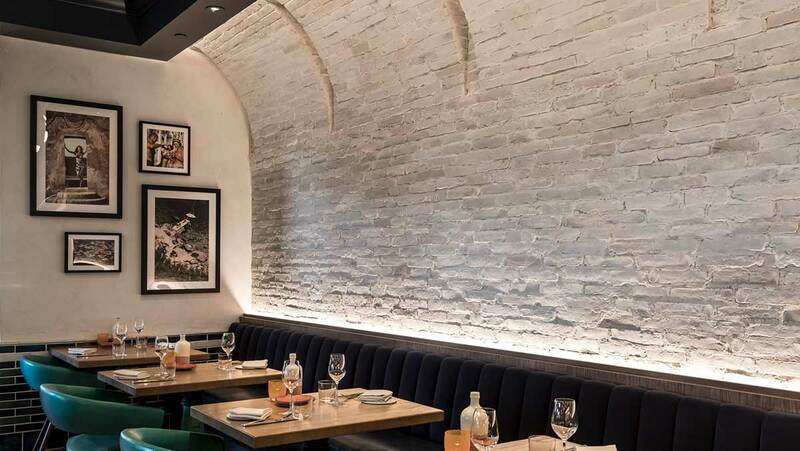 Below are some photos of Roman Tile on the floor and Bastogne brick veneer on the walls and ceiling (photos of the murals will be added later as these were just recently installed).